Persistent neck pain can assume control of life itself for patients with severe and enduring symptoms. Chronic pain has become a plague on our modern healthcare system, with more patients suffering each and every year and fewer patients finding lasting cures. Chronic pain is one of the most controversial of all dorsalgia topics, since the last few decades have provided us with stunning developments concerning the actual nature of many persistent symptomatic syndromes. Furthermore, these newer medical research conclusions have repudiated long-held and incorrect ideologies about the cause and continuation of pain within an injured or degenerated bodily structure, such as the cervical spine. This topical dialog examines chronic cervical spinal pain in vivid detail. We will provide facts about the nature of different types of chronic symptoms, while also balancing the conversation by exposing many myths regarding long-term symptomatic expressions in the neck. Severe neck pain that endures beyond one year has a better chance of never resolving than it does of eventually being fully cured. 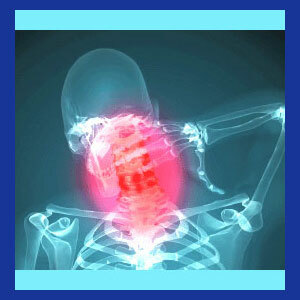 Chronic neck symptoms are some of the most disabling and account for a large percentage of disability claims. Since chronic spinal conditions in the neck can influence virtually the entire anatomy, the majority of patients also report other chronic syndromes in other parts of their bodies, including pain or neurological expressions in the arms, legs or torso. Most chronic pain is “managed” rather than targeted for a potential cure. Pain management is a huge and profitable healthcare specialty, encompassing medical and complementary medical practices, as well as alternative and mindbody methods of care. Chronic pain often results in dire complications for the affected patient, including the loss of career, deterioration of interpersonal relationships, depression, drug dependency and a plethora of emotional concerns, such as incessant anger, frustration and withdrawal from society. Chronic pain has been rated much higher on a scale of disabling factors than other actual disabilities, such as paraplegic conditions. Chronic pain is one of the most reported factors cited to explain unsatisfying interactions with medical and complementary care providers within the insurance sector. Chronic neck pain is virtually always theorized to exist due to a specific injury or cervical spinal degeneration concern. Only a tiny percentage of patients do not enjoy the benefit of some form of diagnosis, despite the fact that a large number of diagnostic labels turn out to be incorrect. Therefore, the myth here is that all chronic pain must be derived from trauma or from some spinal aging process. The reality is that most cases of sustained symptomology are idiopathic. Chronic pain is exclusively a bodily problem. This is a terrible lie. Chronic pain certainly affects the body, but studies have found far worse and enduring effects on the psychoemotional self. Chronic pain is due to malingering or exaggeration. This is a myth that infuriates patients who are certainly not inventing or aggrandizing any pain. They are merely suffering under these ruthless symptoms and are further injured by these callous and unenlightened insinuations. 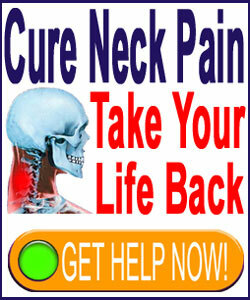 Chronic pain can be cured easily. The patient just has not found the right treatment. This can be correct in some instances, but many case studies have shown that once chronic pain is ingrained, it can resist cures from even the most indicated treatment modalities. Often, patients will require extensive combined care, using physical and emotional therapies in order to fully recuperate from long lasting symptoms. Chronic pain patients are hopeless. Doctors and therapists usually dismiss them in time, leaving them to their own devices while simply prescribing drugs to manage the growing burden of pain. No patient deserves to be abandoned. If the doctors can not provide a cure, then they should still take active roles in constructive symptom control and warn patients of the dangers of acquiescing to a life of never-ending pain and drug use. As a former chronic pain sufferer, I certainly know the issues that all of you face every day. I have lived the frustration, experienced the anger and dealt with my fair share of clueless doctors. However, it is crucial that we never lose hope in ourselves or our body’s abilities to heal. Despite the worst statistics, I have seen chronic pain enjoy a cure in many patients. Some patients have utilized surgical methods to resolve pain, while others have found lasting relief using diet, exercise, conservative care, nonsurgical spinal decompression or mindbody approaches, such as coaching or knowledge therapy. There is no universal or best solution for chronic pain, but instead, each patient must find the care plan that will work best for them. Even when no cure is available, despite the best efforts of patients and doctors alike, there are positive and productive methods of coping with pain that can be employed by every suffering soul. Remember, studies show that the pain itself is often the least limiting component in life, no matter how severe it may be. Instead, the worst consequences of the pain are reflected in the emotional mind of the patient and these factors can always be treated successfully with time and an uncompromising attitude of positivity. This life is all we really have, while it endures. It is a shame to waste it in constant pain and emotional agony, when we could live with the discomfort and still thrive in our vivid humanity, despite our impairments and limitations.